There’s that time in an artist’s career when it all comes together. When it’s their time to be who they are. To come through with a collection of songs that captures the right vibe, at the right time, in just the right way. Born, raised and still living in Ohio, in 2000, a then 22-year-old Avant became the first artist signed to NBA legend Magic Johnson’s Magic Johnson Music. That same year Avant’s platinum debut My Thoughts established himself as one of R&B’s breakout singer/songwriters .A new school balladeer and songwriter with an unwavering respect for those who set the way, working with Chicago based producer Steve Huff (who collaborated with Avant throughout much of the 00′s) My Thoughts contained the Top Five Billboard R&B/Hip Hop hit single, “Separated.” The hit wouldn’t be his last as Avant’s platinum sophomore album; Ecstasy (2002) continued the impressive track record, by going platinum. Avant’s string of platinum smashes (he’s sold over 3 million album in total) continued with 2003′s Private Room and The Director (2006)- which boasted “Lie About Us’, and “You Know What.” The former paired Avant with the Pussycat Doll’s Nicole Scherzinger, while “You Know What” featured Lil Wayne, in addition Avant’s records yielded several Top 5 R&B singles, among them “Making Good Love” “4 Minutes” and “Read Your Mind”, a collaboration with his old friend Snoop. The DO- Double-G makes a return appearance on Avant- adding his flow on “Attention”. “It’s always beautiful working with Snoop. Every time I see him he tells me how much his wife loves me. I’m her top R&B singer”, Avant laughs. “He’s a great guy.” With all those hits, the platinum records and respect from critics, fans and fellow musicians alike, you’d think that Avant could let his rep do the talking. You’d be way off base. While Avant is proud of all of his albums he’s equally proud that, he’s taken his skills to a new level. 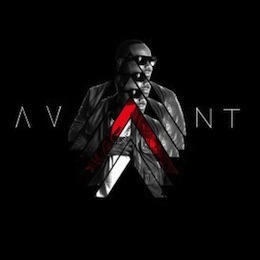 “I’ve never really had some sort of game plan when it comes to making my records,” Avant offers. “This time I really wanted to just get into the studio and make great music. Sometimes you can get trapped in a box. Put just in one certain area. That’s not what I wanted. I love music and want to be able to do great music. Maybe some people might see that as a “game plan”, but to me it’s what I do. There’s that time in an artist’s career when it all comes together. When it’s their time to be who they are. To come through with a collection of songs that captures the right vibe, at the right time, in just the right way. Artist riders are password protected. Please contact us to obtain the password.